The earliest residents of the Row River Valley were the Yoncalla band of the Kalapuya. The first evidence of the tribe is an arrow point found on the Mohawk River that dates back to 9500-6000 BC. An oven for cooking camas roots dating back to 5860 BC was found near Fern Ridge Reservoir. Local lore has it that the usually peace loving Kalapuya had a battle with the Klamath at Rocky Point on the Row River. The Klamath came over seasonally to fish on the river and one year made off with some Kalapuya women. Old timers say that they found arrowheads there for years. In 1782 –1783 a smallpox epidemic reduced the Kalapuya population to 2000-4000 people. In 1855 – 1856 the Kalapuya were removed to the Grande Ronde Reservation. A few Kalapuya left in town were remembered by early residents. Ivan Hoyer told me of a Kalapuya woman named Sally who lived in town in the early part of the 20th century. When she died her friends and family put her belongings in a suitcase where it was hung from a tree to rot. 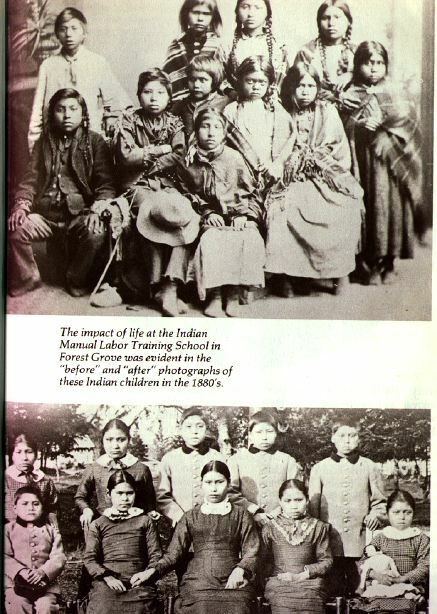 Today there are an estimated 4,000 Kalapuya descendants in the US. Thank you for the updated info. Do you have the book, The World of the Kalupuya, published by the Benton County Historical Society and Museum in Philomath, Oregon? There are a few Kalapuya photos in there. The Kalapuyans by Harold Mackey also has a few. It is published by the Mission Mill Museum Association at 1313 Mill St NE, Salem, OR 97301. Good luck with your research! Let me know when your book is out, I am always looking for new information.